This Purple to Aqua Thermal Nail Polish will mesmerise you as it changes with the temperature, it also has a beautiful holographic pigment running through it. 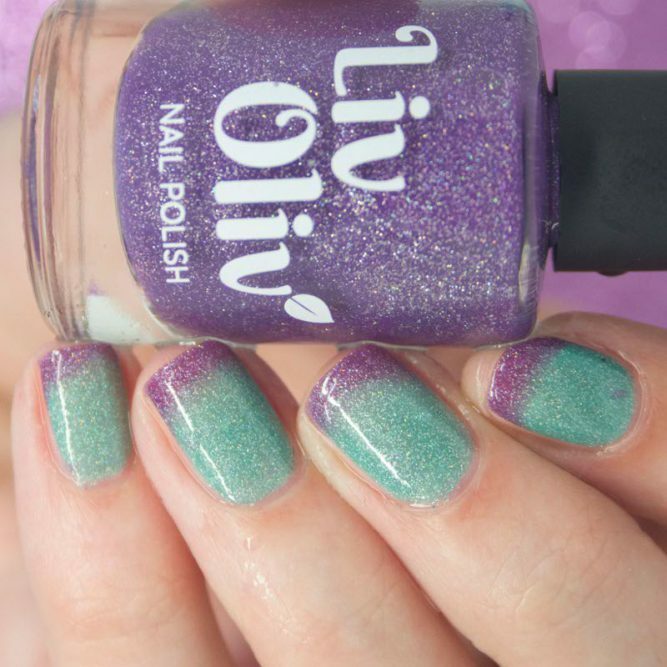 Dip your fingers in hot water, warm water and then in cold to see the changes. Give it a coat of Shining Armour and you will have a glossy manicure that will last. 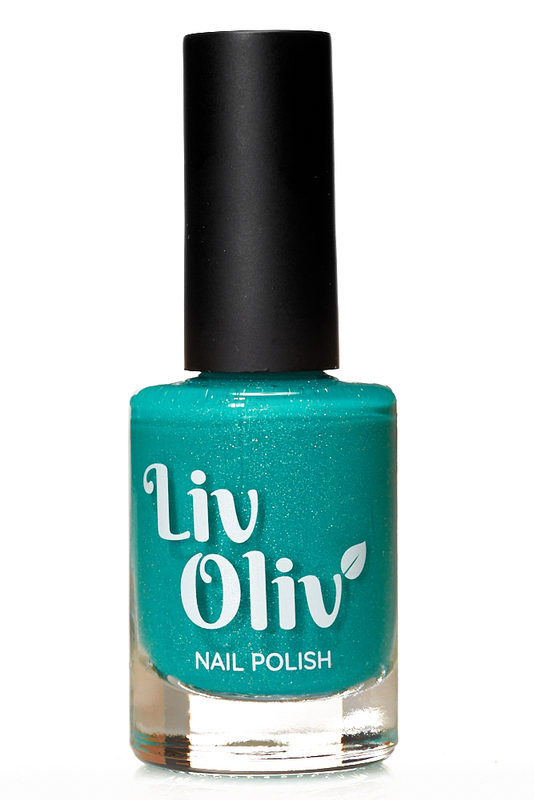 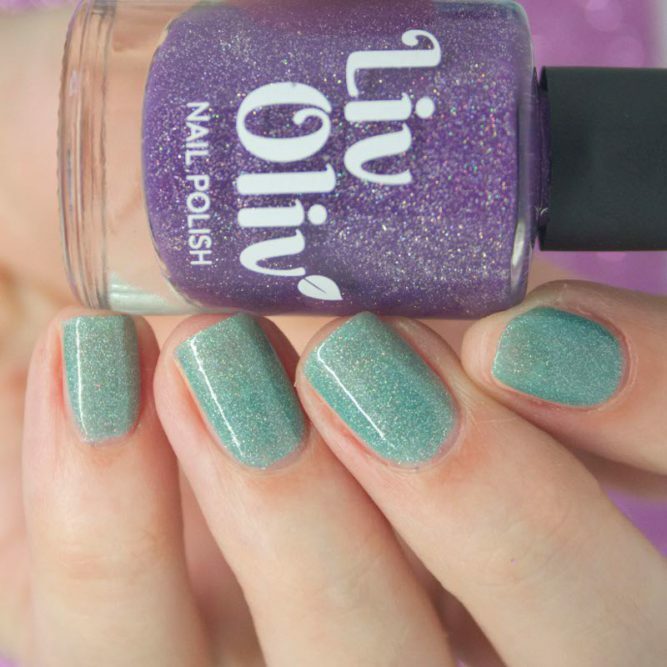 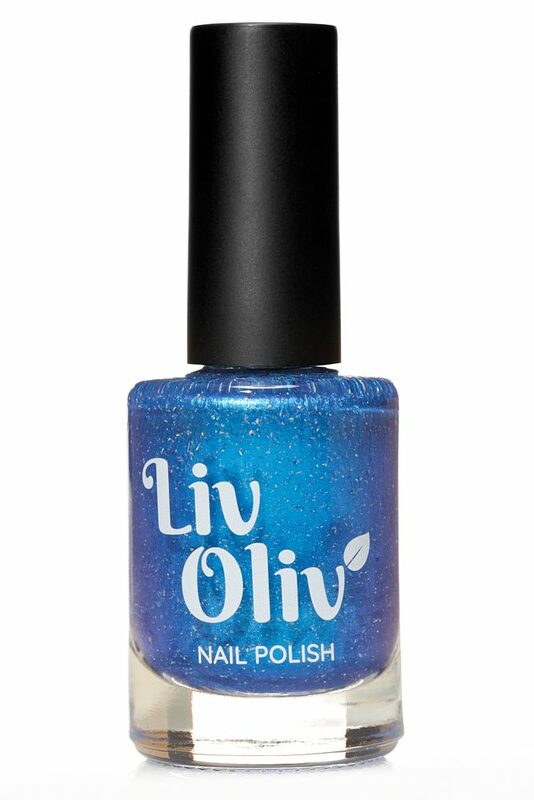 To get the best results from your Thermal Nail Polish, apply 2/3 thin layers of LivOliv Polish over our ‘Bed Rock’ Base Coat, Then finish off with a good layer of ‘Shining Armour’ Top Coat or try ‘Buff Stuff’ MatteTop Coat. 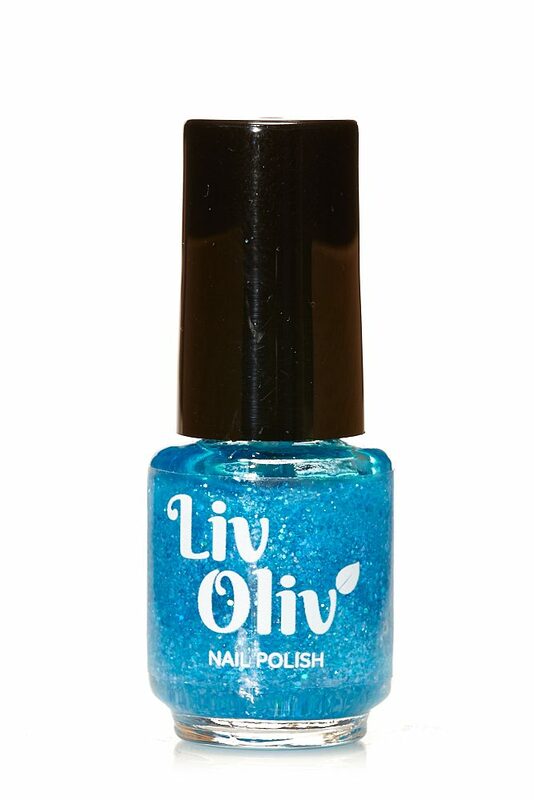 This polish changes with the temperature, when it’s cold it’s Purple, Warm it’s Blue & when it’s hot is is Aqua. 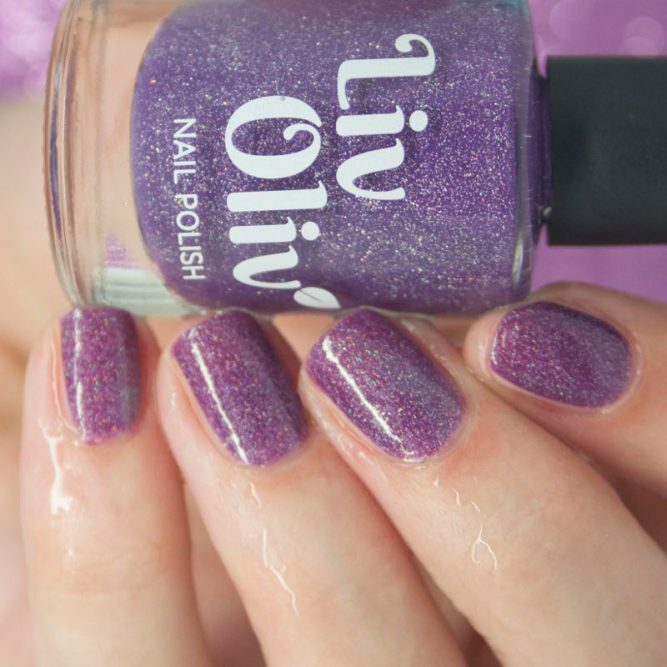 It’s totally mesmerising! 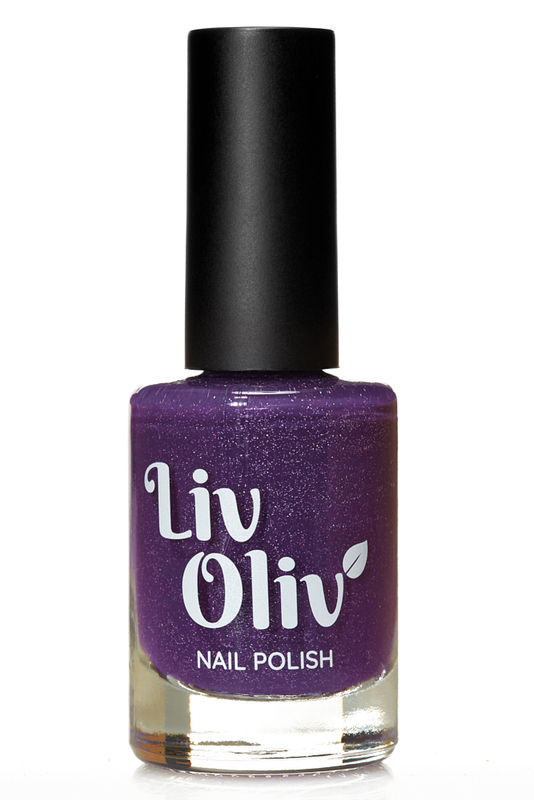 Our Vegan Nail Varnish glides on smoothly and dries quickly, ensure each layer is fully dry before re-applying.